Chelsea sack Conte as manager…. Chelsea have sacked manager Antonio Conte after two years in charge. The 48-year-old Italian, who returned to pre-season training this week, had one year remaining on his contract. Conte won the Premier League in his first season and the FA Cup in May, but the team finished fifth in the league last season, missing out on Champions League qualification. Ex-Napoli manager Maurizio Sarri is expected to succeed his compatriot at Stamford Bridge. Henry Onyekuru joins Galatasaray on loan…. Super Eagles and Everton striker Henry Onyekuru has joined Galatasaray on a season-long loan, the Turkish club have confirmed. The 21-year-old signed for the Toffees last summer before being loaned to Belgian side Anderlecht to help him qualify for a work permit. Onyekuru scored nine goals in 19 appearances for Anderlecht but suffered a serious knee injury in December and returned to Merseyside for treatment. Referee Nestor Pitana of Argentina to take charge of 2018 World Cup final…. FIFA has announced that Nestor Pitana of Argentina will referee the 2018 World Cup final between France and Croatia on Sunday. 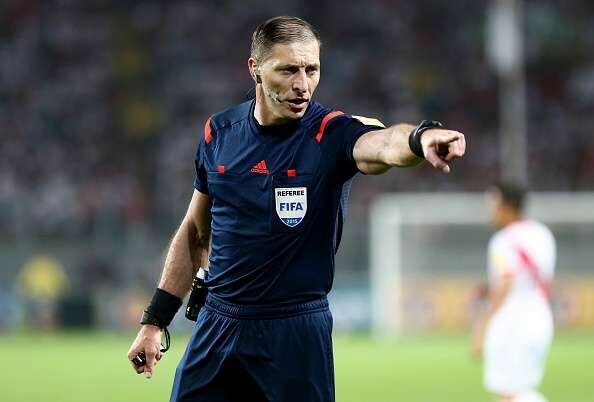 Pitana has already refereed four games, including the tournament opener between host nation Russia and Saudi Arabia and France’s quarter-final win over Uruguay. FIFA warns broadcasters about focusing on women…. 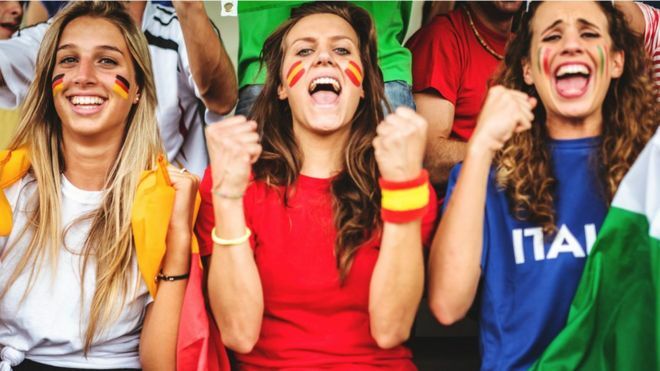 Broadcasters have been ordered to stop their cameras zooming in on “hot women” in the crowd at football matches, FIFA’s diversity boss says. Federico Addiechi said football’s world governing body needed to help tackle sexism at the World Cup. “We’ve done it with individual broadcasters. We’ve done it with our host broadcast services,” he said. Anti-discrimination group Fare Network says sexism has been the biggest problem at Russia 2018. It has been monitoring games and says it has “documented more than 30 cases”. Clement Lenglet joins FC Barcelona…. Barcelona have signed Sevilla centre-back Clement Lenglet for 35.9 million euros and put a 300 million euro release clause on him. Lenglet, 23, has signed a five-year deal at the Nou Camp after the Spanish champions met his buy-out clause. Serena Williams reaches Wimbledon final…. 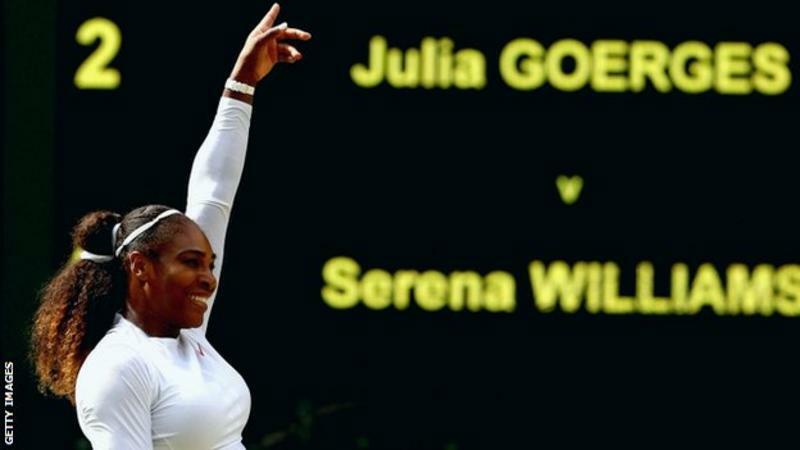 Serena Williams was expecting to take “baby steps” on her return to tennis as a mum but after reaching the Wimbledon final wants to make giant strides. The former world number one will be seeking a record-equalling 24th Grand Slam title when she faces Angelique Kerber in Saturday’s showpiece. Despite being only four tournaments into her return, she has been many people’s favourite for an eighth title. “This is not inevitable for me,” said Williams, who gave birth in September. Fiat workers strike over Ronaldo signing…. 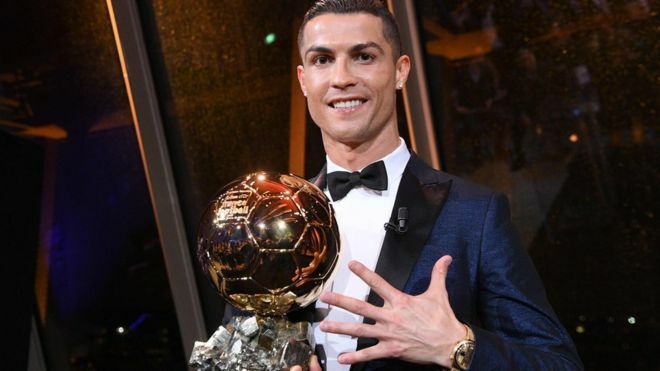 Workers at a Fiat Chrysler plant in Italy are to strike after its main investor decided to pay €112m to sign footballer Cristiano Ronaldo for Juventus. Both the football club and the carmaker are controlled by the Agnelli family through their holding company. For the USB union, the decision means Fiat is missing out on investment. It said the firm needed to guarantee the future of thousands of people, “rather than enriching only one”. Jerzy Brzeczek is new Poland manager…. Poland have named former national team captain Jerzy Brzeczek as their new manager after their World Cup group stage exit. The 47-year-old Wisla Plock boss replaces Adam Nawalka, whose contract was not renewed. Poland finished bottom of Group H after losing their opening two games to Senegal and Colombia before beating Japan in the final game. Brzeczek, who won 42 caps, is the uncle of Poland winger Jakub Blaszczykowski.